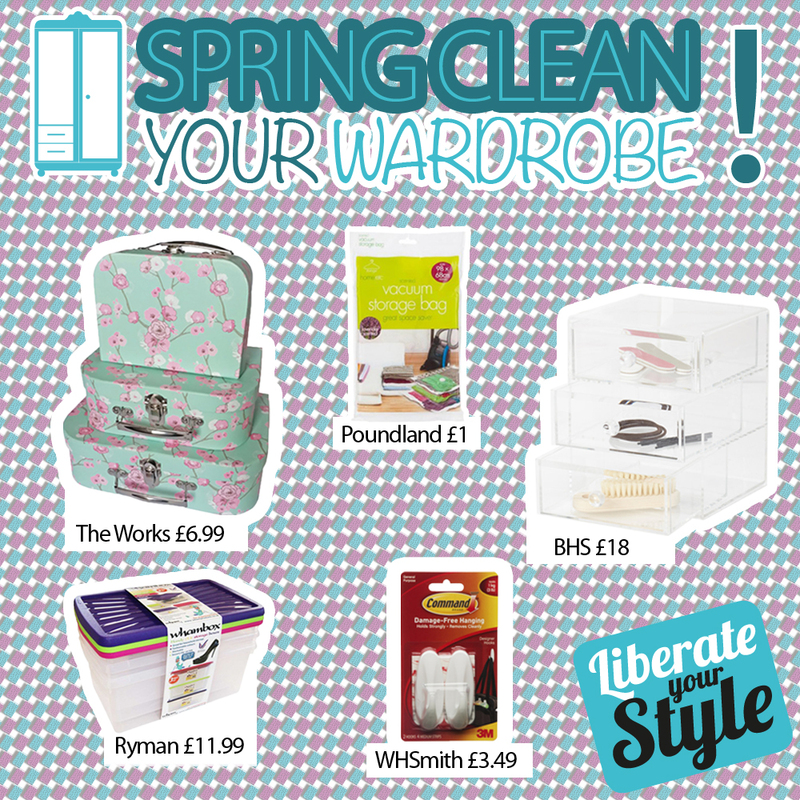 Spring is synonymous with fresh starts, so once you’re done spring cleaning the home, why not make a start on your wardrobe? If you’re dying to update your style with the season’s latest trends and are fast running out of room, make the most of the space you do have by condensing and consolidating. 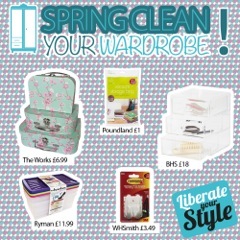 After dividing and conquering your haul, invest in organisation with a little help from The Liberty in Romford. We’ve got everything to customise your wardrobe from slim-line hangers, shoe compartments, drawer dividers, hooks and stackable boxes, guaranteeing that you’ll have a place for everything you’ve been coveting this season! These acrylic storage drawers (£18) from BHS are a stylish and practical solution for your bathroom or dressing room. Perfect for jewellery or make-up, the see through design means everything will be immediately visible and accessible. Stylish and stackable, these storage boxes (£11.99 for a pack of 3) from Ryman are perfect for tidying away shoes, bags or accessories by type, colour and style. These space-saving scented vacuum storage bags (£1 each) from Poundland are great for keeping your winter wardrobe safe from moths and dust during the warmer weather. Maximise small spaces that are on display, such as under your bed, with these beautiful suitcases (£6.99 set of 3) from The Works. They come in a variety of designs and are perfect for storing books, keepsakes and other knick-knacks – freeing up even more space for new clothes…hurrah! Add hooks to the inside of your wardrobe doors to easily hang scarfs, belts and jewellery. These adhesive hooks (£3.49 for a pack of 2), available from WHSmith, are just the job! Replace bulky hangers with these slim-line alternatives (£4 for 10) from Primark. The flocked surface prevents fine fabrics from slipping and the huge variety of colours means that you can easily coordinate and categorise your whole wardrobe. Liberty tip: Struggling to let go? Put all your hangers facing the same direction. If you wear something, when you put it back in the wardrobe, hang it facing the other way. At the end of a month, you’ll know how much of your wardrobe you actually use. The rest either needs to go into the loft, get recycled or donated to your local charity shop. Visit our Age UK donation station or the Age UK Hub in Romford.